I received these items complimentary in order to facilitate this Built NY review. Thank you Built NY for sponsoring this post! Are you always go go go? Now, you can make being busy look good with Built NY! Built NY is a collection of products made for busy, on-the-go people. Built’s inspiration actually came from the city that never sleeps. The products not only make an impression, but combine form and function. Now-a-days, we are all busy! 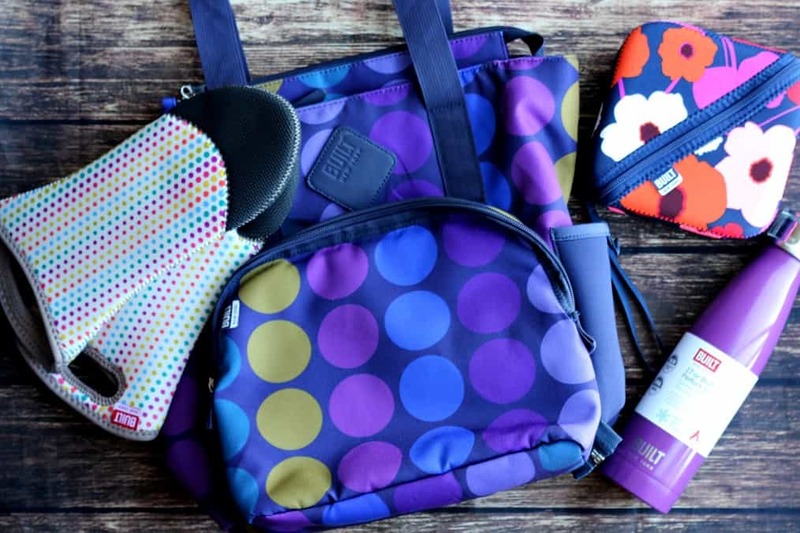 Items available on Built’s website include such things as lunch totes, bottles, kid’s backpacks, wine bags, and some kitchen items as well. The items below are all items from Built NY that I now use and love. These are just some of the many items you will find available from Built NY. Utilizing a reusable sandwich box like this one eliminates the need to purchase plastic bags. It is also much better for the environment! The pattern shown in the photo is Lush Flower. There is also a black with white polka dot pattern, as well as a solid black pattern. The outer neoprene sleeve provides insulation. Inside is a container for the sandwich. I can actually fit two peanut butter and jelly sandwiches inside here so it’s great for when I am on the go with my youngest son. The container has 4 latches so the sandwich inside stays nice and fresh! This sandwich box is easy to maintain! The outer sleeve in machine washable. The inner container is made of plastic that is free from PVC, BPA, latex, and vinyl. It is leak-proof and dishwasher safe. At the time of this post, the listed price for the Bento Sandwich Box is $14.99. Insulated bottles are very popular right now! 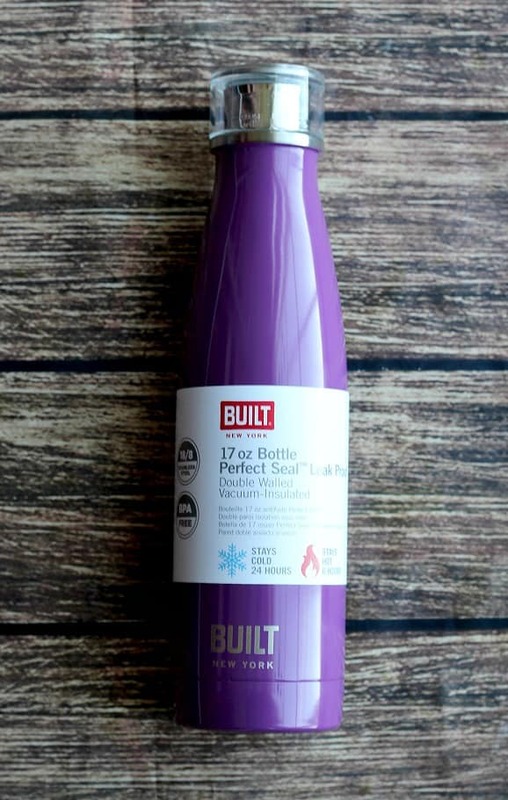 This bottle from Built NY is made of stainless steel. It is double walled vaccum-insulated and the lid is leak and spill proof. This means that it will maintain the temperature of the beverage inside, whether it’s hot or cold, for an extended period of time. Liquids will stay cold for 24 hours or hot for 6 hours. The bottle comes in 5 colors: purple, charcoal, rose gold, mint green, and silver. It fits into most cup holders. It’s perfect to fill with hot coffee on busy morning when I’m rushing out the door. I also use it for cold water throughout the day. This bottle is hand wash only. At the time of this post, the listed price for the Perfect Seal Vacuum Insulated Bottle is $14.99. There are also stainless steel tumblers available for $19.99. This bag is really great for on-the-go! It’s large size (approximately 14″ x 15″ x 4″) makes it perfect for carrying all your everyday essentials and then some! This bag also has a nice size insulated, detachable lunch compartment (approximately 12″ x 10″ x 2″) and an external neoprene pocket to hold a water bottle. There are two zippers at the top. 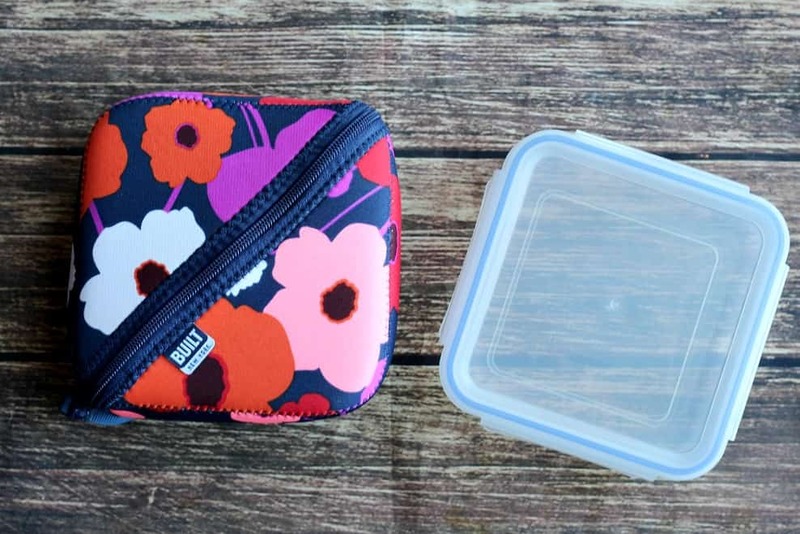 One opens to a large compartment with a smaller zippered pocket inside. The other opens to a smaller compartment. The bag is made mostly of canvas and can be wiped clean. 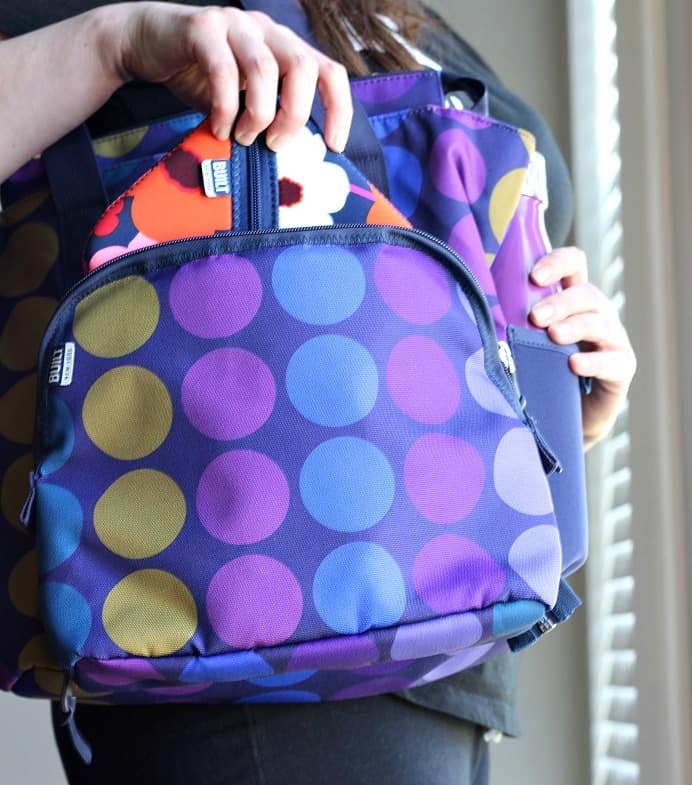 This bag is now my everyday go-to bag when out with my kids! I can fill it with everything the three of us need, and bring along lunch or snacks for all of us! It makes our day-to-day so much easier to have everything in one, easily accessible, bag! There are quite a few style of bags on Built NY’s website. This particular bag is also available in solid black and navy. 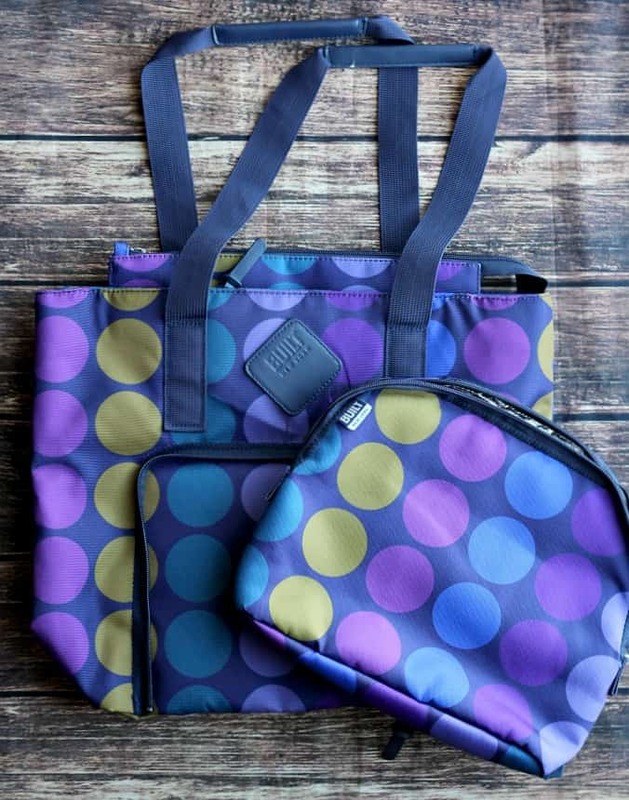 At the time of this post, the Lunchpack Collection Verdi Tote Bag retails for $39.99, with other bag styles ranging in price from $14.99 to $49.99. Built NY also carries some kitchen items. 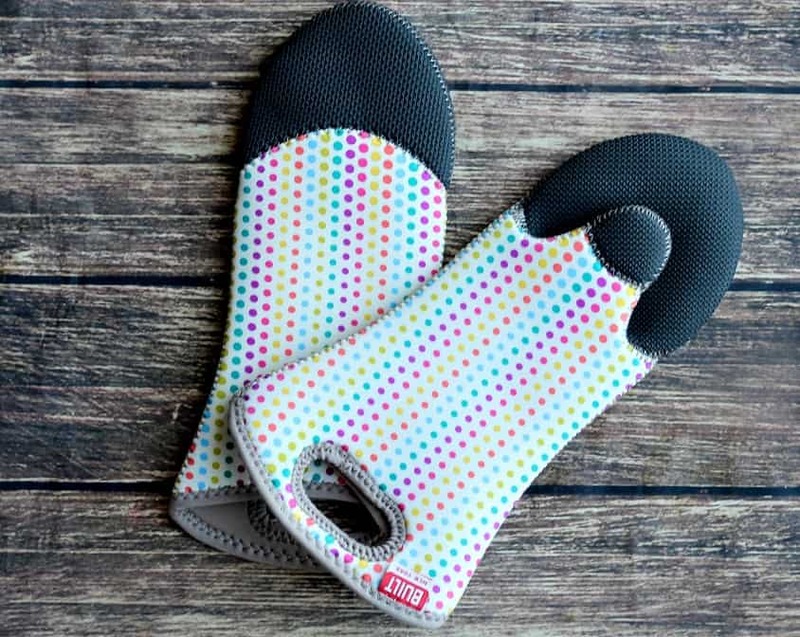 These oven mitts have protective neoprene around the entire top portion of each mitt to protect you from not only burning your fingertips, but also the tops of your hands as you lift pans out of the oven! I am always rushing around when dinnertime comes around, and have burnt myself more than once in all my hast! These oven mitts are so cute that I leave them out and use them all the time! I have not burned myself since! They can be used on either hand and have a reinforced hanging keyhole. In addition to the Candy Dot pattern shown in the photos, these mitts are available in 4 other patterns as well: Garden Rose Black and White, Plum Dot, Grid, and Solid Red. At the time of this post, each Renzo Oven Mitt retails for $12.99. Every item I own from Built NY is high-quality and performs better than expected! I would highly recommend considering purchasing from Built NY on Amazon.com should you have a need for any of the types of items they offer. If you have any questions about the products mentioned in this Built NY review, please leave a comment below and I will do my best to answer you.